Shop Online - The Beadlady Craft Cafe and Art Studio - Imagine. Create. Inspire. Can't visit our store in Cubao X? You can shop online! The images on the left will bring you to our online stores. We accept payments through Globe Gcash and Western Union. Shipping and handling fees are shouldered by the customer. Orders will be shipped through courier. Shop for handmade art jewelry here. 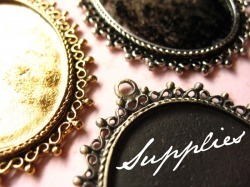 Shop for craft supplies and materials here. Check if The Cupcakery is open!